We think God is too big to be worshipped in only one way. So, every Sunday night we gather in Friendship Hall. We sing old hymns and new songs with indie musicians and a harmonium. We celebrate Holy Communion every week, admitting our souls get hungry. We believe the laughs of children are as sacred as the preacher's words, and enjoy worshipping with every generation together. And we think loneliness is not what God desires for us, so we often extend the table after worship with cookies and potlucks to actively cultivate community. It's worship, as holy as it's always been. And it's "alternative," different than it's ever been. Because our world is different, but our souls still seek the same things. Come, see what's happening here. The season of Lent is one that invites contemplation and reflection, a sort of spiritual “recalibration” before we get to Easter. We don’t know about you, but this world is giving us lots of reasons to need to recalibrate. Here are some ways we’re feeding our souls together this year. Join us, as often as you can. Led by our Environmental Action Committee, we’re challenging ourselves to eat less meat for the sake of our earth this Lent. Our Gathering staff are already all vegetarians, so we invite you to join us! To help your challenge, we’ve put together some veggie-friendly recipes for you. Enjoy! This year we’re offering a new worship opportunity Ash Wednesday morning. Before you run off to work or play, stop here. Worship will be quick, and easy to eat on the road breakfast foods will be available for you to take for the ride! 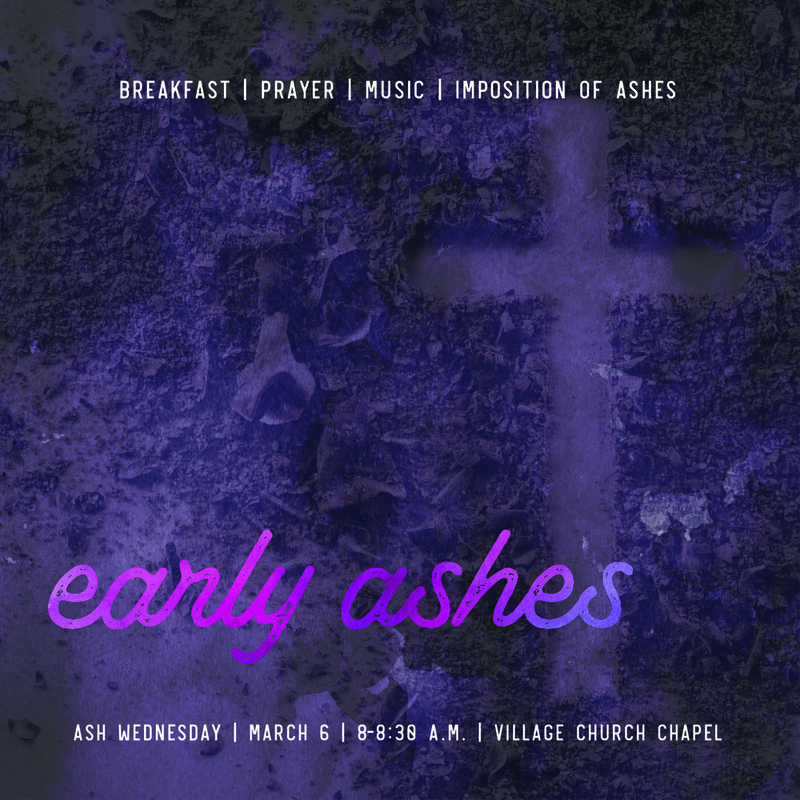 Start your Lenten season with prayer, meditation, music, and the imposition of ashes. Rev. Tom Are and Rev. Hallie Hottle leading, with Becky and Nathan Bliss on music. Wednesday, March 6, 8 - 8:30 a.m.
During Lent we’re going to gather after the Gathering for simple (free) dinners and guided conversation around each week’s sermon topics. Come and go as you please. Join us, as we build community and character together. Last year we celebrated Earth Day by giving away 150+ plants! We believe it’s easier to love the earth when your hands are in the dirt, and your veggies are your own. So this year, with the help of our Environmental Action Committee, we’re giving away even more! Since Earth Day is the day after Easter this year, we’re celebrating early on Palm Sunday. 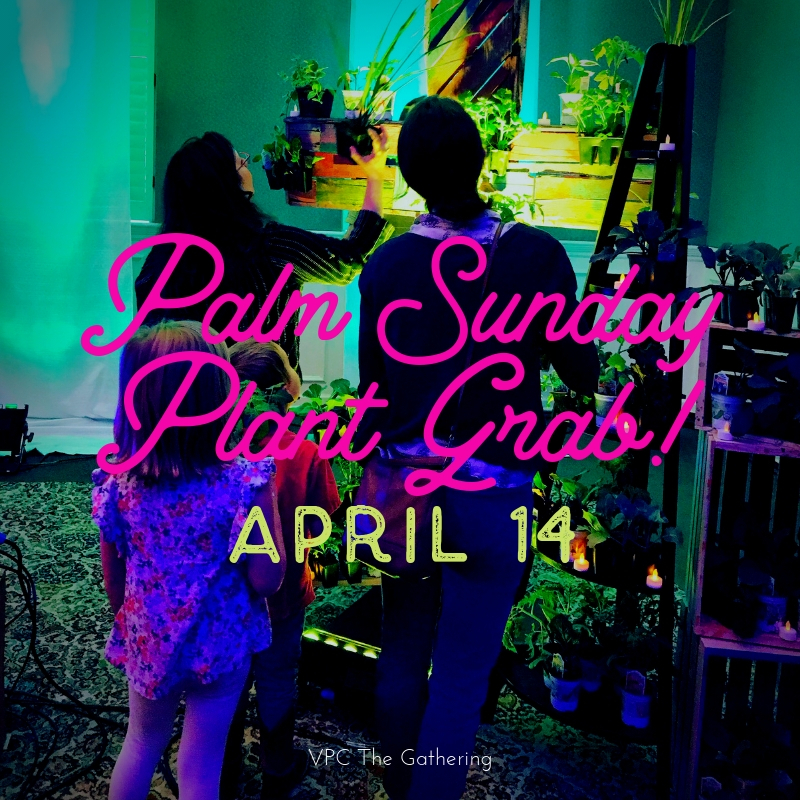 Come worship, and take home a plant! Gathering Palm Sunday Worship @5 p.m.
Dinner (see above!) @6 p.m.
We’ve created a new Holy Week opportunity this year, with our Gathering community in mind. We’ll worship around the table like our early disciples, remembering our story with music and food, and conclude in candlelight. Come, engage Holy Week by experiencing the story together. Thursday, April 18, 6-6:45 p.m. In these weeks we will reflect on who we are called to be, as we take our own journey toward the fullness of resurrection. In his book, The Road to Character, David Brooks says, “Most of us have clearer strategies for how to achieve career successes than we do for how to develop a profound character.” There is wisdom in Brook’s remarks, as character is not something that just happens; character is always chosen. Physical growth happens naturally. Spiritual growth requires discipline, intention and choice. We will reflect on some of the strategies for choosing character in this sermon series.